user warning: Table './c1kidreader/cache_filter' is marked as crashed and last (automatic?) repair failed query: SELECT data, created, headers, expire, serialized FROM cache_filter WHERE cid = '2:54b189b3f6e078f6a0d59f88106bd429' in /var/www/clients/client1/web13/web/includes/cache.inc on line 25.
user warning: Table './c1kidreader/cache_filter' is marked as crashed and last (automatic?) 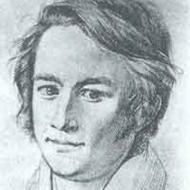 repair failed query: UPDATE cache_filter SET data = '<p class=\"Fortext\">Август Копиш (August Kopisch, 1799–1853)&nbsp;— немецкий поэт и живописец.</p>\n<p class=\"Fortext\">Родился в Бреслау. Окончил Пражскую академию художеств. По поручению прусского короля составил «Die Schlösser und Gärten zu Potsdam» (Б., 1854). Среди произведений Копиша особенной популярностью пользовалась «История о Ное». 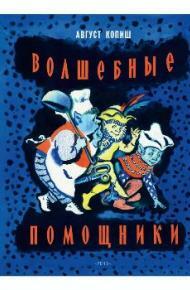 Написал для детей книгу «Волшебные помощники».</p>\n', created = 1555937755, expire = 1556024155, headers = '', serialized = 0 WHERE cid = '2:54b189b3f6e078f6a0d59f88106bd429' in /var/www/clients/client1/web13/web/includes/cache.inc on line 108.
user warning: Table './c1kidreader/cache_filter' is marked as crashed and last (automatic?) repair failed query: UPDATE cache_filter SET data = '<p><a href=\"http://vk.com/kidreader\" target=\"_blank\" rel=\"nofollow\"><img src=\"/sites/all/themes/kidreader/icons/icon-vk.png\" width=\"32\" height=\"32\" /></a> <a href=\"http://www.facebook.com/kidreader/\" target=\"_blank\" rel=\"nofollow\"><img src=\"/sites/all/themes/kidreader/icons/icon-fb.png\" width=\"32\" height=\"32\" /></a> <a href=\"http://kidreader.livejournal.com/\" target=\"_blank\" rel=\"nofollow\"><img src=\"/sites/all/themes/kidreader/icons/icon-lj.png\" width=\"32\" height=\"32\" /></a> <a href=\"http://twitter.com/kidreaderru\" target=\"_blank\" rel=\"nofollow\"><img src=\"/sites/all/themes/kidreader/icons/icon-twitter.png\" width=\"32\" height=\"32\" /></a> <a href=\"http://feeds.feedburner.com/kidreader\" target=\"_blank\" rel=\"nofollow\"><img src=\"/sites/all/themes/kidreader/icons/icon-rss.png\" width=\"32\" height=\"32\" /></a></p>\n', created = 1555937755, expire = 1556024155, headers = '', serialized = 0 WHERE cid = '2:433da351ffd26b3fb95a9ac41951483c' in /var/www/clients/client1/web13/web/includes/cache.inc on line 108. 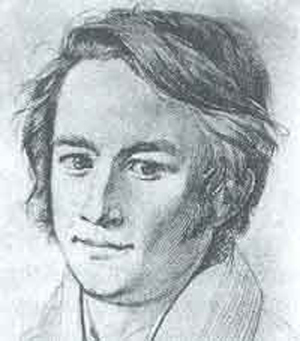 Август Копиш (August Kopisch, 1799–1853) — немецкий поэт и живописец. Родился в Бреслау. Окончил Пражскую академию художеств. По поручению прусского короля составил «Die Schlösser und Gärten zu Potsdam» (Б., 1854). Среди произведений Копиша особенной популярностью пользовалась «История о Ное». Написал для детей книгу «Волшебные помощники».